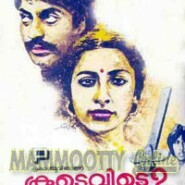 Koodevide | Mammootty Online.com - All About Malayalam Megastar Mammootty ! Alice (Suhasini) is a teacher at a boarding school in Ooty. A prodigal and unruly son of a Member of Parliament Xavier Puthooran, Ravi Puthooran (Rahman) joins the school in Alice’s class. Alice manages to mentor him into a good student. Alice’s boyfriend Captain Thomas (Mammootty) feels intensely jealous of the attention Alice shows upon Ravi Puthooran. He kills the boy apparently by an accident but later surrenders to the police, leaving Alice frustrated in all aspects of her life.